This article appears in print in the April 2019 issue, as part of the Top Doctors cover story. Click here to subscribe. When you need a doctor—whatever your health concern—you want the best, right? And who better to help you identify that expert than another doctor. Our annual list includes only physicians who have been nominated by their peers. We know this list isn’t exhaustive—in the Puget Sound region, we have an embarrassment of riches in the myriad fields of medical treatments and care. But consider our annual list as your life hack to some of the best physicians in the region. 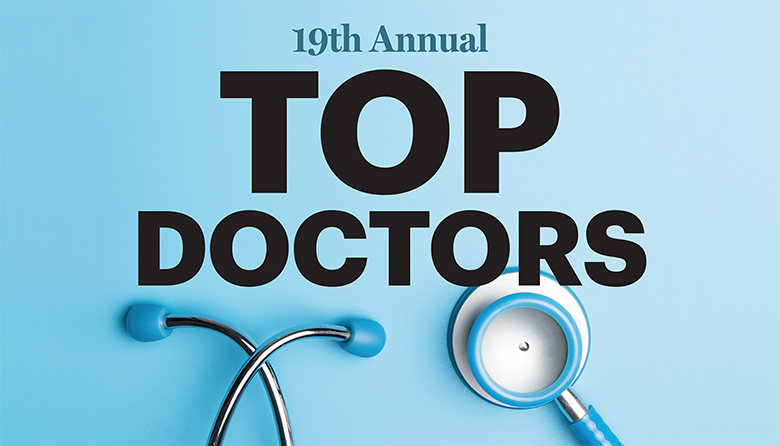 Seattle magazine’s Top Doctors 2019 list was created in collaboration with Castle Connolly Medical Ltd., a health care research and information company founded in 1991 by a former medical college board chairman and president to help guide consumers to America’s top doctors and top hospitals. Castle Connolly’s established nomination survey, research, screening and selection processes, under the direction of a medical doctor, involve many hundreds of thousands of physicians as well as academic medical centers, specialty hospitals, and regional and community hospitals all across the nation. Castle Connolly’s physician-led team of researchers follows a rigorous screening process to select top doctors on both the national and regional levels. Its online nominations process—located here—is open to all licensed physicians in America. Those physicians are able to nominate physicians in any medical specialty and in any part of the country, as well as indicate whether the nominated physicians are, in their opinion, among the best in their region in their medical specialty or among the best in the nation in their medical specialty. Careful screening of doctors’ educational and professional experiences is essential before final selection is made among those physicians most highly regarded by their peers. The result: Castle Connolly identifies the top doctors in America and provides you, the consumer, with detailed information about their education, training and special expertise in its paperback guides, national and regional magazine “Top Doctors” features, and online directories. This year, again in conjunction with Seattle magazine, Castle Connolly additionally opened up the nomination survey process to all licensed physicians in 66 specialty areas in the region for the period from June 14, 2018 to July 14, 2018. With the support of the magazine and marketing staffs at all the respective hospitals in the Seattle metro area, Castle Connolly garnered 5,060 nominations from more than 534 physicians. This added process enabled Castle Connolly to enhance its existing processes and arrive at the list of Top Doctors for this feature. Doctors selected for the feature must have primary offices located in one of four counties that comprise the magazine’s market: King, Kitsap, Pierce or Snohomish County. Based on the nomination process, Castle Connolly had more than 1,400 identified Top Doctors in this area. However, because of space limitations, it further selected an “elite subset” to appear in this issue, based on consideration of numbers of nominations and professional activities. Added to that was a focus on appropriate distribution of medical specialties to reflect the differences in the numbers of physicians in various medical specialties with regard to geography and hospital affiliations. Seattle magazine made an effort to contact all providers on the list to double-check the listing information. In addition to Castle Connolly’s review of state licensure, as an additional measure, Seattle magazine also verified at press time that all the professionals listed were in good standing with the Washington State Department of Health (DOH). Specifically, this means that the physician has an active, unrestricted license (and if a physician has had a disciplinary action taken by the DOH, that doctor has completed all required actions). Please note: DOH records do not include malpractice settlements or criminal convictions unless they resulted in an action. Another good place to learn about practitioners is through Healthgrades. While this list is comprehensive, it is not exhaustive. There are many well-qualified providers who are not included. Additionally, this list is limited to those practitioners whom, in general, patients can select. Emergency room physicians and anesthesiology specialists are not included. The doctors on this list have been nominated by their peers; Seattle magazine is not endorsing these doctors. Physicians selected for inclusion in Seattle magazine’s Top Doctors feature may also appear as Regional Top Doctors online at castleconnolly.com, or in association with other Castle Connolly Top Doctors digital and/or print products. Doctors do not and cannot pay to be selected and profiled as Castle Connolly Top Doctors or as Seattle magazine’s Top Doctors.